Caprice Shampoo helps your hair look shiny and smell great. 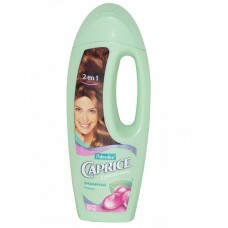 Caprice Shampoo helps revitalize your hair and give it a healthy look. The deep-cleansing formula nourishes damaged hair, including split ends, and repairs it to help soften it.